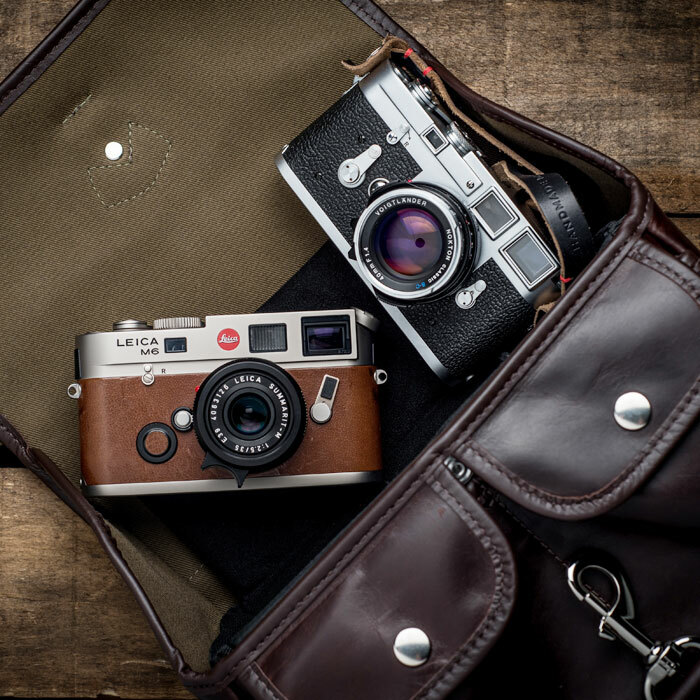 When we designed our small range of camera bags we had one brand in mind, Leica. The renowned, almost cultish camera brand that has captivated photographers for more than a century and a half. Founded in Wetzlar, Germany in 1849 as “Optical Institute”, there is perhaps no other camera brand on Earth that captures the imagination and allure that Leica Camera does. Although we make our small range of camera bags to be used by all camera brand users. We believe the security that our small range of bags offers is second to none and perfect to keep your pricey German made camera safe. When designing a Leica camera bag it is imperative that security is of the utmost importance. And our dual d-ring system and trigger hook is the most secure closure system on any camera bag that we know about. It is a system we developed and is completely unique to our brand. The trigger hook is easy to open once you know how, but takes a few tries in order to learn it well. A would-be thief needs to be swift and get what they need quickly. They cannot be fiddling around with systems they are unfamiliar with, like ours, or risk being caught. And unlike leather, or synthetic straps, you cannot cut our trigger hook with a knife to gain access that way. Compare that to your current camera bag. Would you feel safe on a crowded subway in a major city during rush hour with your expensive Leica camera? With our unique trigger hook and d-ring system you will. You have purchased your Leica camera because you want the best quality possible. There are a number of other cameras that you could have bought and perhaps you would have saved some money. But you didn’t. It’s the same for our small range of camera bags. We could have created a bag that looks like other camera bags and is made in a similar way. But like you, we want the best quality possible. 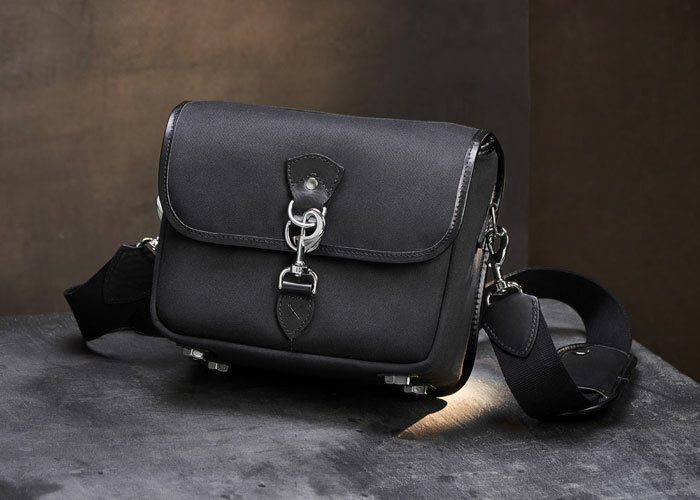 In order to create a camera bag of unrivaled quality we use the finest materials available, including: triple layered waterproof canvas, nickel fittings, military grade webbing and Italian vegetable tanned leather. Our initial small camera bag prototypes were tested with Leica cameras. If they worked well with Leica, they would work well with other smaller camera systems like mirrorless. When we knew the bags would work well with Leica we then moved on to test them with larger, full frame DSLRs like the Nikon D750, D3 and Canon 5D Mark III. “Hawkesmill have produced a beautiful bag. I have owned my small Jermyn Street bag for a few months and it is the only camera bag I use now. It is the perfect companion for my Leica M3.” -M.B. Leica users are our second largest market. We feel that we know and understand what they want in a Leica camera bag. We also believe that we understand the average Leica user’s meticulous nature and always striving to own the best quality product possible. Here is some of the feedback we have had from actual Leica users that purchased one of our small range of camera bags. Whether you own a Leica, Nikon, Sony, Fujifilm, Canon, etc. you can feel secure in the knowledge that it will be kept safe against all the elements… human, or otherwise. “This bag is absolutely stunning! My Leica M240 feels completely at home in the Regent Street bag. It is small, unassuming, yet beautiful at the same time. Just like my Leica. I have never doubted the safety of my Leica in this bag. And I get complimented constantly!” -P.S. 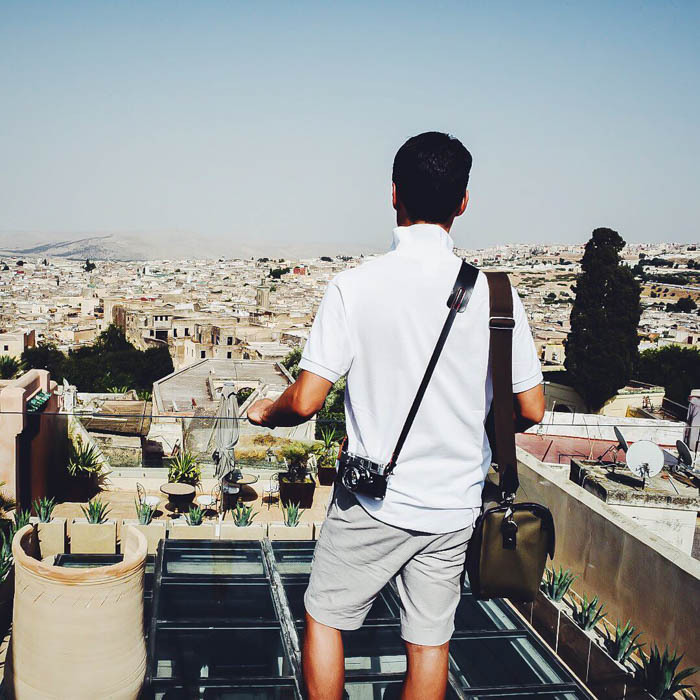 This entry was posted in Camera Bags and tagged camera bag, Leica. What a wonderful bag the Regent Street is for my Leica. It is like the older brother that protects the younger one. Wonderful quality, splendidly designed. Well done, Hawkesmill!